Anger is an extremely powerful emotional experience. It can literally make us mad. Succumbing to its power can lead to all sorts of negative implications on health and well-being. It is also a major precursor to aggression and violence. Moreover, unbalanced and excessive anger is prevalent in numerous psychopathological conditions, such as in Post-Traumatic Stress Disorder (PTSD), Oppositional Defiant Disorder, and unfortunately many more. Emotion regulation refers to the processes allowing people to “influence which emotions they have, when they have them, and how they experience and express these emotions” (Gross, 1998, p. 275). While anger has an adaptive role in physical survival, goal attainment, and social relations, the importance of (down) regulating our anger and reducing its negative impact is indisputable. In a series of studies, we aimed to understand how the brain regulates anger. In order to do so, we first need an experimental paradigm that will allow us to induce and assess anger within a laboratory controlled environment. We were recently able to demonstrate that the anger-infused Ultimatum Game (aiUG) is a reliable and valid paradigm to induce and assess interpersonal anger experience and aggressive expression (Gilam et al, 2018). This paradigm is based on a classic social decision making task—the Ultimatum Game (UG; Güth and Kocher, 2013)—in which two players need to agree on how to split a sum of money between themselves. The first player (the proposer) decides how to split the sum of money, while the second player (the responder) decides whether to accept or reject the offer. If accepted, both players gain the allocated sum of money, but if rejected, they gain nothing. Numerous studies have demonstrated that from the perspective of the responder, as offers are more unequal, they are evaluated as more unfair, they induce more anger, and they have higher probability of being rejected. Moreover, rejecting such unfair offers is associated with aggressive retribution, while accepting them is associated with being able to down-regulate and overcome the anger and aggressive inclination. In the aiUG, anger is further induced by the putative proposer via pre-scripted interpersonal provocations embedded with the monetary offers (Figure 1). These provocations are congruent with the level of unfairness. Similar to the standard UG, our research (Gilam et al, 2018) shows that the aiUG demonstrates a decrease in acceptance rates with increasing offer unfairness, an increase in self-reported anger between before to after the task, and strong test-retest reliability. 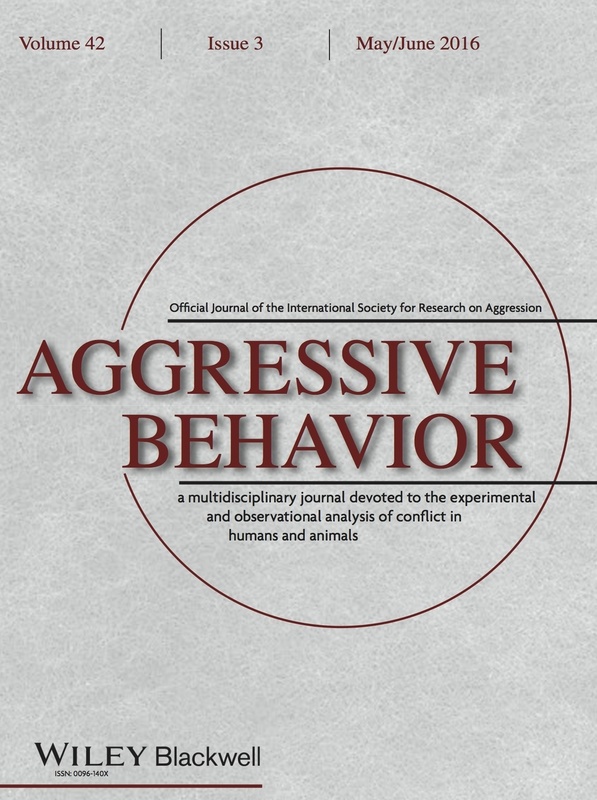 Importantly however, participants’ self-reported anger and acceptance rates in the anger-infused UG, as opposed to the standard UG, were significantly correlated with their trait anger scores and aggressive responses in the Taylor Aggression Paradigm, the latter of which is considered a gold standard in inducing and measuring physical aggression, and thereby indicate its superior convergent validity. Previous research on the neural bases of emotion regulation commonly engaged regions of the prefrontal cortex (PFC), at the forefront of the human brain (Etkin et al, 2015). In a previous aiUG study, we demonstrated that a specific region in the ventro-medial part of the PFC (vmPFC) was involved in modulating anger en route to increased acceptance rates (Gilam et al, 2015; Figure 2). In other words, as healthy participants processed anger-inducing, unfair offers, heightened activity in the vmPFC was associated with less anger, which in turn was associated with less rejection of these offers (i.e. less aggression). While this provided a potential model for down-regulation of anger, the correlational nature of this result left us with a question—does the vmPFC have a causal role in regulating anger and aggression? Put another way, if we can enhance vmPFC activity, will it reduce anger and aggression? Transcranial direct current stimulation (tDCS) is an emerging technology that noninvasively, safely, and temporarily alters brain functioning by delivering very low electrical currents between two electrodes placed over the scalp (Lefaucheur et al, 2017.clinph.2016.10.087]). In general, activity of brain regions under the positive electrode is enhanced, while activity of brain regions under the negative electrode is decreased (Figure 3). The technique is used to study cognition and behavior, but also as a potential treatment adjuvant for various pathological conditions, such depression and chronic pain. In our most recent study (Gilam et al, 2018.cortex.2018.09.010]), we aimed to enhance anger regulation by increasing vmPFC activity using anodal tDCS. However, the spatial specificity of tDCS is still under debate. Therefore, in order to monitor and validate that we are indeed influencing activity in the vmPFC, we conducted tDCS simultaneously with brain imaging. In a cross-over, sham-controlled, double-blind study, participants (N=25, 13 females) were each scanned twice, counterbalancing sham and active tDCS applied simultaneously with fMRI, and during the administration of the aiUG. Our findings (Gilam et al, 2018) indicate that active compared to sham stimulation led to increased vmPFC activity during the processing of unfair offers, increased acceptance rates of these offers (less aggression), and mitigated the increase in self-reported anger following the aiUG (Figure 4). We could also demonstrate that participants with a stronger habitual tendency to use suppression as an emotion regulation strategy reported less anger following the aiUG in the active compared to sham stimulation conditions. This supports the interpretation that the neurobehavioral changes induced by active stimulation may indeed be associated with emotion regulation processes, and suggest that vmPFC has a causal role in regulating anger. Taken together, this set of studies provides a novel understanding of how the human brain processes and regulates angry experiences and expressions. While it is important to replicate, validate, and extend these findings, especially in patients, they provide a promising platform for basic and translational research on anger. The aiUG is an easily administered and standardized paradigm to induce and assess anger experience and expression. Furthermore, tDCS may provide a non-invasive treatment adjuvant to reduce angry and aggressive outbursts during interpersonal provocations. This is crucial for individuals with pathological manifestations of anger, and perhaps also for therapeutic inoculation of populations at risk of developing such pathology, such as in PTSD. Gadi Gilam, Ph.D., is a psychological neuroscientist combining basic with translational research to study anger, pain, and empathy, from a social, cognitive, and affective neuroscience perspective. He is currently a postdoctoral research fellow at the Stanford Systems Neuroscience and Pain Laboratory. Etkin, A., Büchel, C., & Gross, J.J. (2015). The neural bases of emotion regulation. Nature Reviews Neuroscience, 16(11), 693–700. Gilam, G., Lin, T., Fruchter, E., & Hendler, T. (2017). Neural indicators of interpersonal anger as cause and consequence of combat training stress symptoms. Psychological Medicine, 47(9), 1561–1572. Gilam, G., Abend, R., Gurevitch, G., Erdman, A., Baker, H., Ben-Zion, Z., & Hendler, T. (2018). Attenuating anger and aggression with neuromodulation of the vmPFC: A simultaneous tDCS-fMRI study. Cortex, 109, 156–170. Gilam, G., Abend, R., Shani, H., Ben-Zion, Z., & Hendler, T. (2018). The anger-infused Ultimatum Game: A reliable and valid paradigm to induce and assess anger. Emotion, 19(1), 84–96. Gilam, G., & Hendler, T. (2015). Deconstructing Anger in the Human Brain. In M. Wöhr & S. Krach (Eds. ), Social Behavior from Rodents to Humans (pp. 257–273). Springer International Publishing. Gilam, G., Lin, T., Raz, G., Azrielant, S., Fruchter, E., Ariely, D., & Hendler, T. (2015). Neural substrates underlying the tendency to accept anger-infused ultimatum offers during dynamic social interactions. neuroimage.2015.07.003]. NeuroImage, 120, 400–411. Gross, J.J. (1998). The emerging field of emotion regulation: An integrative review. Review of General Psychology, 2(3), 271–299. Güth, W., & Kocher, M.G. (2013). More than thirty years of ultimatum bargaining experiments: Motives, variations, and a survey of the recent literature (No. 2013–035). Jena Economic Research Papers. Lefaucheur, J.-P., Antal, A., Ayache, S.S., Benninger, D.H., Brunelin, J., Cogiamanian, F., … Paulus, W. (2017). Evidence-based guidelines on the therapeutic use of transcranial direct current stimulation (tDCS) .clinph.2016.10.087]. Clinical Neurophysiology, 128(1), 56–92.